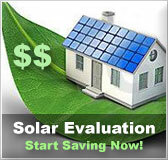 South Carolina residential solar energy incentives | Solar Panels | Solar Power | Site Map | Bookmark This Site! -This incentive allows residents of South Carolina who purchase and install solar energy and hydropower systems to claim a tax credit of 25% of the total cost of equipment, installation and generation of electricity produced by the system. -The maximum incentive for each tax payer may claim per taxable year is $3,500 or 50% of the taxpayer’s tax liability, whichever is less. -Any excess credit may be carried forward for ten years. -This is a green-power program designed to encourage residents of South Carolina to use renewable energy sources. 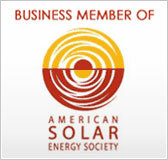 -Customer owned, grid-tied solar and wind energy systems are offered premium payments for the electricity generated. These payments vary depending on the system. -Solar and wind systems must have a maximum capacity of five kilowatts to be eligible. -The system must supply the energy generated to the South Carolina power grid and have a power purchase agreement with the utility company that the energy will be supplied to. 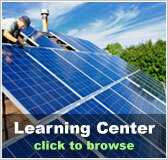 -If the system is participating in this program, it cannot be used for net metering. -Residents of South Carolina and North Carolina who own residential solar water heating systems are eligible for a rebate of $1,000 through this program. -Systems must meet required certifications and carry specified warranties to be eligible. - South Carolina customers who own renewable energy systems that generate electricity have the option to net meter either on a time-of-use tariff or a flat-rate tariff. -Both tariffs incorporate fees to the net metering customer. - System capacity limit is 20 kW for residential customers. -Net excess generation is credited to the customer's next bill at the utility's retail rate, and then surrendered to the utility annually at the beginning of each summer season. -Many utility loan and rebate programs are available throughout the state of South Carolina provided by municipal cities and utility companies. -Loan and rebate programs are available for customers who install geothermal heat pumps, water heaters and cooling systems. -Loans are given at low interest to help with the purchase and installation of geothermal, cooling and water heating technologies. 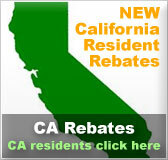 -Rebates are given as a one time set amount for the initial cost of heat pumps, water heaters and air conditioners.